Print out the Star Sheets included with this activity, or create your own. 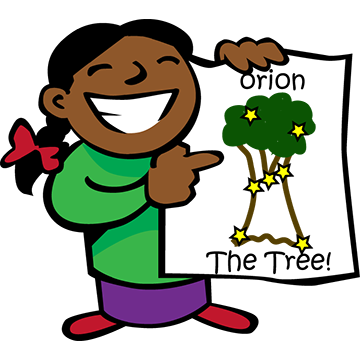 You’ll want many different constellations, and a few copies of each one so that each child can choose one or two that they like. Print out the Constellation Pictures (one copy per team is enough) or show them on a computer screen to the whole group. 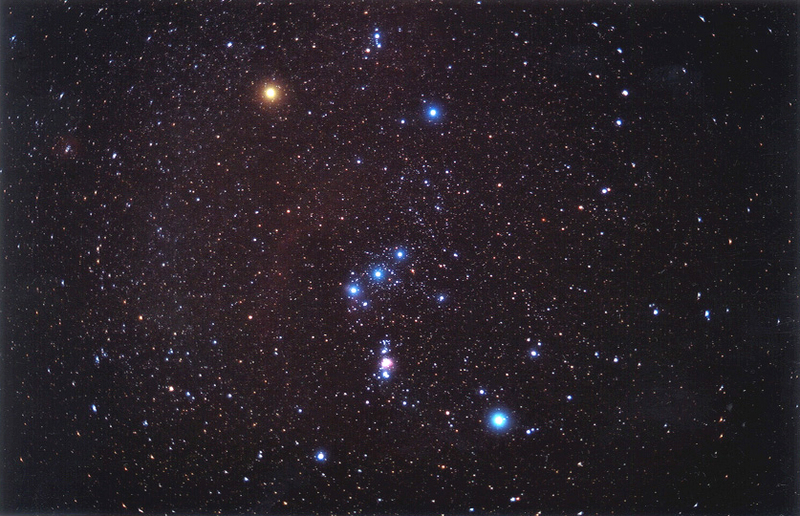 You might also print out or show on-screen photos of existing constellations as seen in the sky, like Orion, Ursa Major, and Cassiopeia if you live in the Northern Hemisphere; or The Southern Cross and Centaurus in the Southern Hemisphere. A quick web search will give you lots of results. It is best to use constellations that your children can see when they look up at the night sky; and helpful to show an image of the stars that make up a constellation, alongside a photo with lines drawn on connecting the stars of the same constellation. See Suggestions below for some links to get you started. Ask your students if they have heard of constellations before. What are constellations? Where can we see them? Where did their names come from? Show your students the Constellation Photos (printed out, on a computer, in a book, or you can find your own images to show them online). Do they recognize any of these constellations? Invent your own new constellations! Show your students a set of the printed Star Sheets, and tell them that these are the star patterns in constellations up in the sky. But they don’t have any pictures on them. Ask students to choose a Star Sheet that they like, bring it back to their seat and make a drawing that connects the dots. It could be a person, an animal, a thing – whatever they can imagine. Ask them to make their drawings and to give their new constellation a name. Give your children enough time to complete their drawing and naming. If they would like, they can also make drawings on blank paper, using the Star Sheets as guides. When everyone has completed a constellation, bring the larger group together and ask them how it went. Was it hard or easy to imagine a picture using the Star Sheet? Did they choose something from their own lives, something they’ve heard of before, or something totally imaginary? Ask if anyone would like to share their new constellation drawing and its name. After everyone who would like to share has had a chance to, you can send them back to create more. Hang them all up on a wall and admire the beauty. You could also challenge your students to match each Star Sheet constellation with the real constellation that it came from. Some students may express an interest in the stories behind the classic Greek and Roman mythological characters behind the existing constellations. This is a great chance to encourage students to do some research, and then share what they discover with the rest of the group.